Each summer, youngsters of all ages descend on Edinburgh, crackling with creative intent. They make Auld Reekie feel young again. When twenty-five year old theatre designer Buddug James Jones and her ”acting life raft” Max Mackintosh take the Big Belly stage at Underbelly Cowgate, they’re all freshness and enthusiasm. The pair embark on a hour-long journey from a small Welsh family farm to London, during which Mackintosh’s energy is sufficient to portray not just a version of himself, but also Buddug’s mother, father, grandmother and first boyfriend, a faded Welsh rocker, and a Portuguese Lothario. The show includes a partly improvised diversion during which the cast discuss the nature of art with members of the audience. While art need not always be about big, new ideas, the Fringe is at its best when looking at things from a new or different angle. Hiraeth’s problem is that while figuring out art, moving out, failed crushes, the death of a grandparent, and working towards a first job are impossibly massive and new from the perspective of teenage or early-twenties rural West Wales, without something more, they constitute a diary of things that happen to all of us. Fortunately for the show, the charm and energy of the cast leaves the audience generously disposed to James Jones and Mackintosh, and they receive a generous ovation when the hour is up. 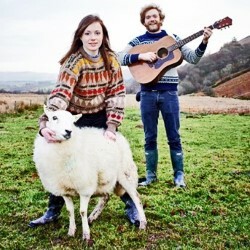 Hiraeth is on at Underbelly, Cowgate (Venue 61), 16:50, Aug 16-24.